PTZ Follow Me was initially developed for a PTZ Optics 20x camera. This camera supports a wide range of settings, from a house of worship to a classroom. Here are the steps to make sure the PTZ Follow Me app will work with your camera. 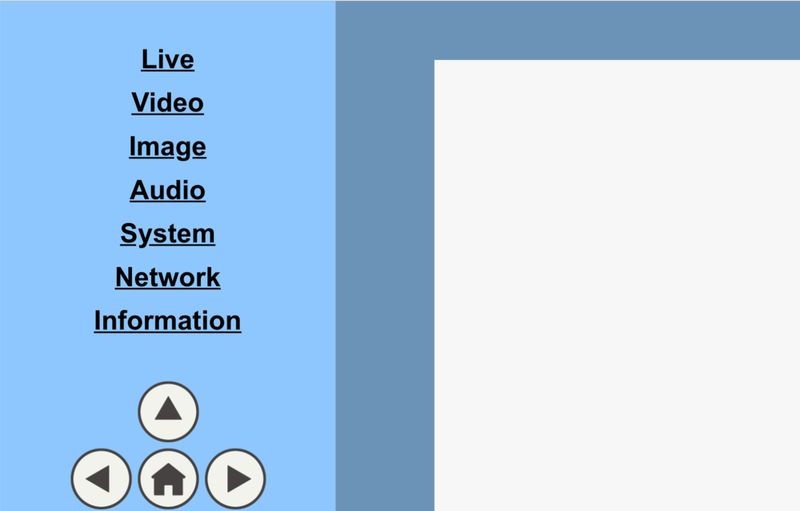 Once logged in, click Network on the side. When you open PTZ Follow Me, select the button above the pretty picture of the PTZ Optics camera. See it? Put those settings (IP, HTTP Port, RTSP Port, VISCA port) in the settings. Authenticated RTSP streams are broken right now, I’ll fix it ASAP! !